More than 60 different pharmaceutical compounds were detected in aquatic invertebrate larvae and riparian predators in six streams near Melbourne, Australia, according to a paper published in the journal Nature Communications. Meanwhile predators who feed on aquatic invertebrates, such as platypus and brown trout, may inadvertently consume around a half of the daily human therapeutic dose of drugs such as antidepressants, through feeding on their prey. Notably the paper states that many pharmaceuticals disrupt ecological interactions, functions and communities. While antidepressants can alter fish behaviour, illicit drugs such as amphetamine and LSD can also “compromise the web-building ability of spiders”. The influence of pharmaceuticals on aquatic ecosystems is particularly concerning due to the quantity and concentrations of the pharmaceutical drugs that were found. As the global population rises and the use of pharmaceuticals and personal care products increases too, contamination of aquatic ecosystems will almost certainly become worse in coming years. The pharmaceutical contaminants are most likely to reach the streams through wastewater inputs. 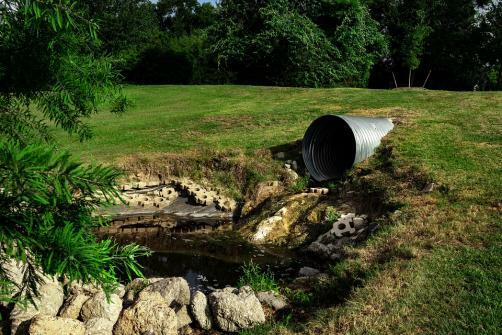 These sources of waste-water include waste-water from leaking sewage and waste-water infrastructure as well as sewage that is pumped directly into streams and other bodies of water. Overall the researchers estimate that predators consuming aquatic invertebrates in wastewater influenced streams may be exposed to about one quarter and up to one-half of a human dose of some pharmaceuticals.